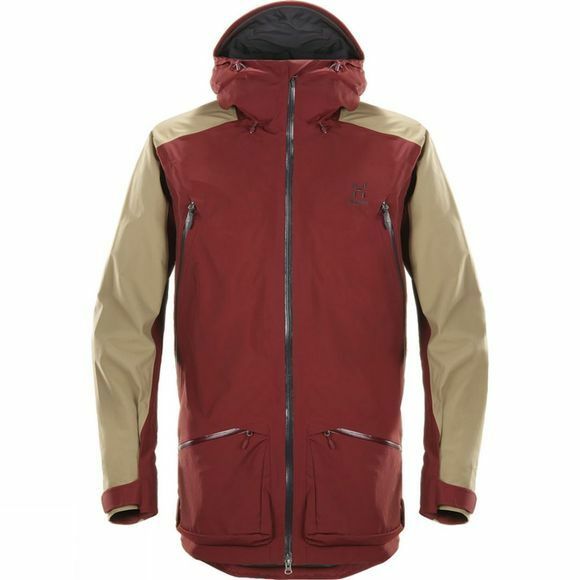 Freeski in Haglöfs' full-featured Men's Chute II Jacket. Made from two-layer Gore-Tex, it blocks wind and water, and it features a helmet-compatible hood and easy access to pockets, even with a backpack. They earn a bluesign designation as well. 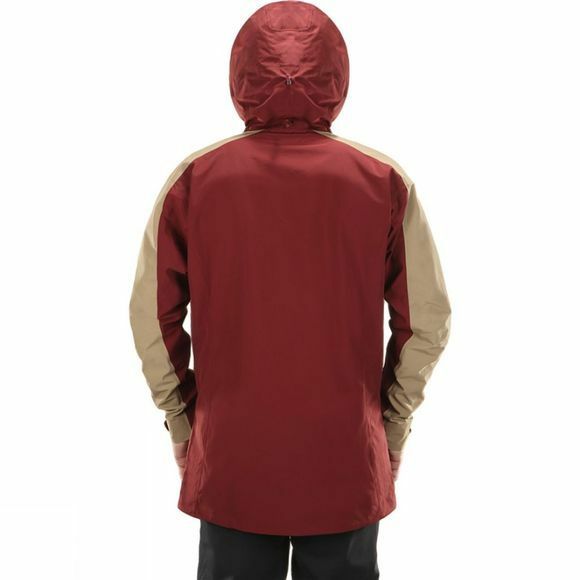 Lightweight and durable Gore-Tex provides a waterproof outer with a polyester taffeta mesh lining to enhance breathability and comfort. The mid thigh length, looser fit is suitable for body armour protection. Two-way ventilation zips on the front offer optimum ventilation and fit while wearing a backpack.